California’s most diverse county, Sonoma yields some of the world’s greatest wines. California’s most diverse county, Sonoma is rich with sprawling cities, folksy towns, a rocky coast, Redwood forests, the mighty Russian River, plus peaceful pastures and farms. More to the point—its vineyards yield some of the world’s greatest wines. Separated from its more famous neighbor, Napa Valley (with whom it maintains a friendly sibling rivalry), by the Mayacamas Mountains, Sonoma County holds 13 American Viticultural Areas (AVAs). One of those is Sonoma Valley. There’s also a town of Sonoma. Some confusion is understandable. As with all California coastal counties, Sonoma has a warm-cool spectrum. Regions closest to the ocean and San Francisco/San Pablo Bay are suited for Pinot Noir and Chardonnay, while the warmer, inland AVAs are naturals for ripe, full-bodied Cabernet Sauvignons, Petite Sirahs and Zinfandels. Because of Sonoma’s diverse climates, virtually every grape variety grown in California performs well somewhere within its 1,576 square miles—the same size as the state of Rhode Island. Winters can be chilly and wet—the little town of Cazadero is the rainiest measuring station in California. Yet, it can hit 75 degrees on a winter afternoon, delighting denizens of outdoor cafés. Summers, by contrast, shine warm and dry (just what grapevines like), with May through October the height of the tourist season. Yet, Sonoma never sees the crowds that converge on Napa. Sleepy, stunning and still (somewhat) wild. It's time to fall in love all over again with this easy-going wine powerhouse. Meandering through vineyard-covered hills and dales, the Russian River presents one of the prettiest sights in California wine country. Forested mountains in the distance seem to touch the broad sky. In summer, the valley exudes pastoral charm, sunny and rainless. Wintertime gales roaring down from the Gulf of Alaska make a B&B with a fireplace, bottle of wine and your sweetie look pretty good. Such is the Russian River Valley’s appeal. The city of Santa Rosa bustles a few miles away, while the San Francisco Bay Area lies a mere hour to the south. Time seems to have stood still along the valley’s twisting lanes. Little farmhouses with tire swings hang from apple-tree boughs. Aging Redwood barns and the occasional herd of cows signal a 19th-century lifestyle. But these days, there are fewer apple orchards and Holsteins than there used to be. For all the fame of Russian River Valley Pinot Noir, it only recently emerged a star. Russians, after whom the valley is named, established vineyards along the Sonoma Coast sometime after 1812. However, the grapes they planted were certainly not Pinot Noir. No one knows precisely when the first Pinot was planted, although a few wineries (including Korbel) produced it in the 1930s. Its two modern pioneers, Joe Rochioli Jr. and Joe Swan, planted it in the late 1960s and early ’70s. Although their properties were only a few miles apart, they sat on opposite sides of the river. Neither knew, in those pre-Internet days, what the other had done. Yet, their eponymous wineries put Russian River Valley Pinot Noir on the oenophile’s map. By 1990, critics and restaurateurs were swapping tales of funky, small wineries in the valley whose Pinots, they swore, rivaled the great red wines of Burgundy. The booming economy of the 1990s fueled interest in fine wine among Baby Boomers. As a result, wineries producing Pinot Noir in the valley grew exponentially. Most were small family businesses, using grapes grown in their own little vineyards or purchased from local growers. By the mid-’90s, vintners realized that the greater Russian River Valley appellation, which had been approved by the federal government in 1983, was not a simple place from a climate and soils point of view. Its 96,000 acres contain a wide array of growing conditions, or terroirs. The valley is cooler in the south and west, where it’s most open to coastal winds and fogs, and hotter in the north and east, where it abuts the warmer Dry Creek Valley and Chalk Hill appellations. For years, area vintners have talked of dividing the Russian River Valley into as many as six or seven smaller AVAs, based on fog and temperature patterns and, to a lesser degree, soils. But the process has become so politicized—as have many similar discussions in other California AVAs—that no change seems likely anytime soon. Cool-climate Pinots are generally higher in acidity and more tannic, while those from the warmer zones are softer and more approachable. Neither style is better—they’re just different. The winemaker’s technique also impacts the wines. Oddly enough, both styles age well, presuming the wines are well made. However, here are some of the best cool-climate Pinots: DeLoach, Dutton-Goldfield, Joseph Swan, Lynmar, Marimar Estate and Merry Edwards. Rochioli’s and Williams Selyem’s finest vineyards are located in the slightly warmer north. Their wines show early opulence, yet can develop for up to 20 years. The best wines are produced in small quantities and are expensive. Compared to top Napa Valley Cabernet Sauvignon, however, Russian River Valley Pinot Noir remains a bargain. Pinot Noir has become popular throughout California’s coastal regions, from Santa Barbara up to Mendocino. But history will show that in the Russian River Valley, modern American Pinot Noir was born and came of age. If there’s a Middle Earth in California, it sprawls along the winding, two-lane Highway 116, in the northwestern part of the Russian River Valley. After the road turns west above Forestville, you almost expect to see a hobbit scurrying amid the little wooden cabins up on stilts, or disappearing behind a Redwood tree. The forests plunge down from the coastal hills. Here and there where the sunshine pokes through the canopy, you might glimpse color-splashed pools of wild iris, lupine and buttercup. The quaint old bridges that span the silvery Russian River themselves are fairytales. The houses are on stilts because the River floods in wet years. Little villages like Rio Nido, Monte Rio and Duncans Mills hardly hold more than clusters of homes, a gas station, a little food market or a bar. The main town, Guerneville, has long been a summer getaway for fog-weary San Franciscans. It’s best known for its beaches, counterculture lifestyle and for the LGBT community. Beyond Guerneville, Highway 116 emerges into the broad, sunlit plain of the Russian River estuary. Here, the hills lower, the river widens, waterfowl flock the skies and the air smells of the sea. Where the Highway meets the coast road, Route 1, the Pacific Ocean shimmers in all its glory (that is, if the fog isn’t hiding it). On the dramatic shoreline, giant waves crash onto massive seaweed-covered rocks and wide-swath soft sand beaches smattered with enormous strands of kelp. Sea lions bask and bark on the beach, while the occasional whale spouts just offshore. Here, you’ll find Jenner-by-the-Sea, a town out of another time, which offers bed-and-breakfasts and some good restaurants. The rugged mountains that soar above Jenner, the coast highway and the beaches are home to Sonoma’s newest high-altitude appellation, Fort Ross-Seaview. Just north of Jenner is a replica of the old, wooden Fort Ross (right) that Russian fur traders built in the early 19th century. Now a State Historic Park, it is a must-see if time allows. Beyond the fort, the road twists around precipitous cliffs that plunge seaward creating a series of isolated coves. From its cooler regions, Sonoma produces Pinot Noirs of complex deliciousness. Silky and elegant, the wines balance fruit-driven power with subtlety. Surprisingly adaptable across all of Sonoma’s growing regions. The best are ripe in tropical fruits, apples and pears, usually with oaky complications. From the slopes of the Mayacamas Mountains come rich, sturdy wines to rival Napa’s. Cabernet from the valley floor can surprise. Comes in two styles, warm climate and cool climate. Both exhibit Zin’s spicy, briary character. Alcohol levels can be heady. From this sprawling county come Sauvignon Blancs of delicacy and poise. Frequently barrel-fermented, they’re crisp and dry, with citrus and green apple. This rich, vibrant wine is back in a big way in Sonoma. There’s something singularly Californian about this rich, spicy wine. Although recent genetic research shows Zin originated along the Dalmatian coast of Croatia, it’s long been regarded as the Golden State’s own variety, and no more so than in its historical home, Sonoma County. By the 1880s, Zinfandel was well known to Sonoma vintners. Many of these winemakers were of Northern Italian heritage and settled the county because its Mediterranean climate and golden hills reminded them of Tuscany or Piedmont. That’s because, unlike today, the old-timers weren’t interested in individual grape varieties. Instead, they wanted a red wine that was hearty and delicious—perfect to wash down beef and pasta with zesty tomato sauce. To get that, they interplanted many different varieties, not just Zinfandel, but Carignan, Alicante Bouschet, Mataro, Petite Sirah, Trousseau and others. Because each variety ripens at a different time, they could harvest at least some of their crop before the autumn rains. And, if they could successfully ripen all their grapes, the different flavors made a more complex wine. Today, we call these wines “field blends.” They’re still produced, in small quantities, by vintners lucky enough to get their hands on these gnarled vines—some more than 100 years old—that have managed to elude the bulldozers of suburban development. As a variety, Zinfandel goes through phases. Like fashion, one year it’s in, the next, out. 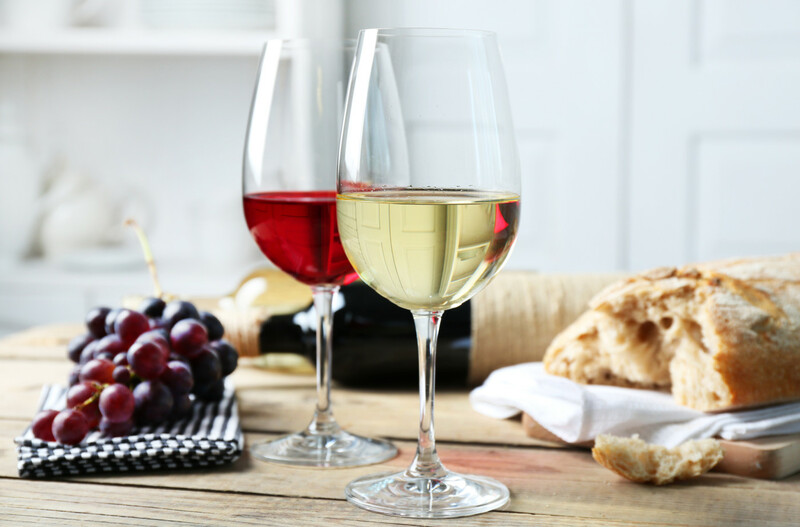 Considering the different styles of Zin over the years—white Zin; rosé Zin; carbonically macerated Zin as fresh as Beaujolais nouveau; sweet, Port-style Zin; even sparkling Zin—it’s a wonder that Americans haven’t simply thrown away their corkscrew in confusion. But they haven’t, and today, Zinfandel is more popular than ever. It’s a highly adaptable grape. Although it needs sunshine and heat to ripen, it will tolerate a wide range of conditions. It grows well in the hot, interior sections of the Alexander Valley, northward from Geyserville to Cloverdale, producing wines of heady strength and blackberry/chocolaty lusciousness. Yet, it also thrives in the cooler parts of the Russian River Valley, albeit in banana belts at higher elevations above the fog line and on sunny, south- and west-facing slopes. The Dry Creek Valley, wedged between Alexander Valley and the Russian River Valley, is perhaps Zinfandel’s most natural home. These wines define the variety’s briary, brambly personality. It’s hard to list the top Sonoma Zinfandel producers. For every name you include, you’d have to leave three off who deserve to be there. Certainly, no one would object to citing Bella, DeLoach, Gary Farrell, Joseph Swan, Ravenswood, Sausal, Sbragia, Seghesio, St. Francis and Williams Selyem. They’re made in different styles, but all show that voluptuous, peppery, full-bodied Zinny essence. Does a good Zinfandel age? Yes, as proven by 20-year-old bottles from some of the more established wineries. The wine gradually sheds its upfront fruit, throwing tannins that show up as sediment in the bottom of the bottle. It also becomes lighter in color, mellower and seemingly sweeter and purer in fruits. In fact, it can be difficult to tell a 20-year-old Zinfandel from an equally aged Pinot Noir or Petite Sirah. But a good Zinfandel also is ready to drink on release. And is there a better wine for summer barbecuing or winter’s short ribs? When Zinfandel goes wrong—and it can, especially in heat waves—it’s usually because it’s overripe, which makes for raisined fruit and high alcohol. That gives the wine jalapeño-chile heat, as well as a cloying, glyceriny sweetness. Posing a challenge for winemakers, Zinfandel ripens unevenly on the grape cluster. You can have a sour green berry right next to a ripe purple one and a raisin. This necessitates careful winnowing by the vintner, an expensive task because it demands more hands to pick out bad berries on the sorting table. Wine lovers can quickly name Sonoma County’s most famous wine regions: Russian River Valley, Alexander Valley, Sonoma Valley, Dry Creek Valley, Sonoma Coast. One of the newer AVAs, it earned its status in 2002. Set at the northwestern end of Dry Creek Valley, it’s known for eerily beautiful, moonlike rock formations. varieties, especially big, brawny ones like Zinfandel and Petite Sirah. Part of the larger Russian River Valley, this is a cool location with steady wind sweeping in from the coast and San Pablo Bay. Pinot Noir and Chardonnay thrive here, although excellent Zinfandels are grown on higher, sunnier slopes above the fog. Although this inland area is warm and dry, it benefits from breezes from the Russian River Valley, especially on hilltop vineyards. The region produces limited quantities of high-quality Sauvignon Blanc, Chardonnay and Cabernet Sauvignon. Sonoma’s newest appellation sits at the far western end of the county, on high ridge tops overlooking the Pacific Ocean. A remote area, it’s challenging for tourists to negotiate. But grapes, especially Pinot Noir, Chardonnay and Syrah, love its warm days and chilly, fog-shrouded nights. North of Fort Ross-Seaview, it abuts the Mendocino County border. Not yet an appellation, but it should be. The wines are similar to those of Fort Ross-Seaview. Also not an AVA, but likely to be someday, although the name may change. Freestone is one of a string of tiny communities (others include Graton and Occidental) in far southwestern Sonoma County. This is chilly country, foggy and moist. In recent years, vintners have been producing Pinot Noirs of spectacular intensity that can be tight and acidic in youth, but age well. In a large pot, combine 4 quarts of water, salt, sugar, thyme, chili flakes and toasted coriander seeds and whisk till incorporated. Add the chuck and brine overnight. The next day remove the beef from brine and pat dry, sear in a cast-iron pan over medium-high heat. Cover with water and braise in a 350°F oven for 2–3 hours, or until fork tender. Let cool in the braising liquid and remove. When able to handle, cut into 6 portions and reserve until ready to use. Bring the beef jus to a boil and add the fish sauce, shallot and red wine vinegar. In a blender on high, whirl the sauce until fully incorporated, then slowly add the clarified brown butter until fully emulsified. Grill or sear the reserved beef chuck portions, and keep warm in a low oven. Chef likes to keep the quinoa at room temp for this dish. Place the quinoa on a plate with the turnips on top, place the chuck on top and spoon some sauce on the chuck. Chef Maldonado likes to heap everything on top of foraged wild greens. Serves 6. Combine the water and juice from the lemons, peel the turnips and hold in the water till ready to use so they won’t oxidize. Preheat a 450°F oven. Toss the turnips in the olive oil and salt. Roast on a sheet tray for 20 minutes. Melt the butter in a pot. Add the quinoa and toast for 2 minutes. Add the water and slowly simmer for 20 minutes, stirring occasionally so it won’t stick to the pot. Finish with salt to season. The quinoa should be dry when finished cooking. Papapietro’s Pauline’s Vineyard Zinfandel (Dry Creek Valley). Chef Louis Maldonado stays true to a single concept, “I cook what I like to eat,” he says. One of his main courses at Spoonbar is pork terrine. Maldonado loved the local eggs from a purveyor, and decided to serve the pâté alongside basmati rice with a slow-cooked egg. Underlying Maldonado’s culinary iconoclasm is meticulous classical training. Before arriving at Healdsburg’s Spoonbar restaurant in 2012, he assembled a spectacular résumé: One Market, Cortez and Aziza (all top destinations in San Francisco), as well as The French Laundry, where he’d been chef de partie. All this, by age 31. Located a block from the town Plaza, Spoonbar is set in the h2hotel. It presents a modern mélange of concrete, steel and wood with art works scattered throughout. Most notable among them is the “Spoonfall” sculpture, from which the restaurant takes its name. Comprised of 2,000 recycled espresso spoons, it’s a kinetic construction powered by captured rainwater. This stand-your-ground mentality may come from his karate background; his parents ran a martial arts studio in Ukiah in Mendocino County. He might have become a sensei, or a cabinetmaker, like his grandfather. Your palate lucked out, though: he went to California Culinary Academy. There followed an internship at One Market, and then The French Laundry. That experience in extreme envelope-pushing formalism turned Maldonado’s eye toward creating a fine-meets-comfort food mecca. The ajoining recipe epitomizes his mission and is on par with his only, aforementioned rule of food. Spring Lamb: Maldonado thinks lamb from Preston Farm and Vineyards (Healdsburg) ranks among the best in terms of size, richness in fat and delicate flavor. Baby Vegetables: Mini squash, turnips, carrots, scapes and green garlic come from Mix Garden (Healdsburg). They grow throughout the Dry Creek and Russian River valleys. Rye and Barley Grain: Milled to flour for baking, it comes from Front Porch Farm (Healdsburg), which also produces heirloom squash, puntarella and farm eggs especially for Spoonbar. It wouldn’t be quite right to call Sonoma County the land of milk and honey, because it’s the land of so much more. Milk and honey figure in, of course. But so do wine, olive oil, cheese, bread, beer, spirits, preserves, freshly harvested oysters, peaches and all manner of produce. Founded in the 1990s by Sue Conley and Peggy Smith, the patron saints of artisan cheese, Cowgirl’s three fresh and six aged cheeses are made from local organic milk. Its Mt. Tam and Red Hawk varieties are world-famous. Gaetano Vella began making cheese in Sonoma in 1931. The family carries on, focusing on all-natural dry Jack cheeses. Vistas of the Russian River Valley accompany the gorgeous sit-down, five-course meal sourced in part from the winery gardens and paired with succulent Pinots. J’s sparkling wines, Russian River Valley Chardonnays and Pinot Noirs are ideally suited for the Bubble Room, a luxurious sit-down, full-service salon where the house chef pairs multiple wines with each of three courses. Pair current releases with a local cheese, salumi or something fresh from the winery’s gardens. You can also pick up homemade preserves and seasonal produce from the farm stand. An old-style homespun diner in Carneros with a farm-direct gourmet twist, Fremont is great for breakfast or lunch. The chicken and waffle is a must-try. Kendall-Jackson Wine Estate’s 55-seat eatery and tasting lounge offers hand-cut fries soaked in Cabernet Sauvignon and a Bites & Flights menu built around its own gardens. A local favorite, Scopa is a narrow, oft-packed sliver of a place where chef/owner Ari Rosen has made pizza and pasta a religious experience. Winemaker Wednesdays feature local vintners pouring their goods. Co-owner Duskie Estes found fame as a Next Iron Chef competitor, but is beloved by locals for embracing the food-to-table philosophy well before it was fashionable. Lagunitas Brewing Company, Petaluma Lagunitas’s TapRoom is a vast, working brewery that invites fans to linger over its popular beers plus special releases. Russian River Brewing Company, Santa Rosa From its famous Pliny the Elder double IPA to Redemption, Perdition, Defenestration and Damnation beers, Russian River provides a reason to ponder the larger meaning of beer. Apples once thrived in Sonoma County, but then grapes took over. Today, a renaissance of sorts is taking place, as producers are planting heirloom varieties and making quality hard ciders. How ’bout them apples? Ace Premium Hard Ciders, Sebastopol The biggest and longest-standing hard cider producer in Sonoma County, Ace crafts flavors ranging from apple to perry (pear and vanilla), berry, pumpkin and the Joker, a sparkling version slightly higher in alcohol (8%). Its lively Ace-in-the-Hole pub features food and music on Friday afternoons. Devoto Gardens, Sebastopol Devoto makes Apple Sauced Cider from a single variety, the Gravenstein, once grown in abundance in these parts. It also produces Raspberry Hard Cider, all Gravenstein with a splash of red raspberry juice. Visits by appointment only. Athena Nicole Grey’s tricks to preparing a sophisticated alfresco spread. A small road in the Valley of the Moon bends west off Highway 12 and heads toward the foothills. A few turns later, a driveway framed by bronze horse statues leads to an equine oasis amid the vineyards—Wine Country Polo Club. The group was established by Henry Trione, a banker who also founded Trione Vineyards in Geyserville. Still vigorous in his 90s, Trione watches matches from the shade of the trees, greeting spectators and players, who range from schoolteachers to software moguls to winemakers. “I want you to enjoy all this,” he says, waving towards the impeccable emerald field. Open to the public, the club hosts regular matches as well as top events such as the Junior Achievement benefit in September—complete with classic cars and ladies’ hat contest. But visitors can have just as much fun watching the Thursday afternoon “stick and ball” practices. Club member Nicole Grey is known for her graciously elaborate tailgate picnics. “I see beauty everywhere and I love to create it,” she explains. An entertaining stylist, she owns the namesake Nicole Grey, a purveyor of luxury goods. “At most sporting events you drink beer from a can. For polo, you sip sparkling wine from a flute,” one bystander quipped. Bubbly from Korbel in Guerneville is served at the divot stomp for major events, with Trione wines also featured. The Trione Chardonnay or Pinot Noir (both Russian River Valley) pair well with Grey’s roast chicken and salads. Most important—drink lots of water to stay hydrated. Named after the Greek goddess of wisdom, Athena Nicole Grey uses her birth name for her Greek-style recipes like these. Bring a large pot of salted water to a boil. Add orzo and boil until al dente, according to package directions. Drain and rinse the orzo briefly with cold water. Toss the pasta with all other ingredients except tomatoes and fresh herbs, season with salt and pepper to taste. Let the orzo salad cool for one hour, refrigerate until ready to pack for the tailgate. Before packing toss in tomatoes and fresh herbs. Serves 6–8. Preheat the oven to 400°F. Fill a large pot with salted water, parwboil the potatoes for five minutes and then strain. Place the potatoes with all remaining ingredients into a large bowl and toss. Align one layer of potatoes in a shallow baking pan. Season with salt and pepper. Bake for 45 minutes, or until potatoes have reached a golden color. Check occasionally to make sure they are roasting evenly. When done let cool for 30 minutes. Season again with salt and pepper to taste and garnish with fresh oregano, if desired, before packing for tailgate. Serves 6–8. Kenny Likitprakong’s dad is the general manager of Domaine St. George winery in Healdsburg, so he grew up around wine and always knew he wanted to be a winemaker. He began his personal brands, including Banyan and Hobo, in 2002. Kenny calls Sebastopol home, and he shares some of his favorite things in Sonoma County. “I love Terrapin Creek [Café], out in Bodega Bay,” he says. “It’s fine dining, but not pretentious. The food has a slightly Asian influence that appeals to me. “For lunch, I often go to Tomi Thai, in Windsor. I pretty much always get the duck noodle soup. Once in a while, we’ll go to Willow Wood Cafe in Graton for brunch. “One place I really like is Peter Lowell’s, right here in Sebastopol,” he says. “It’s a casual, less expensive Chez Panisse-type of place. (It focuses) on organic ingredients, not fanfare in the kitchen. Sonoma also provides Kenny with opportunities to indulge in the outdoors activities he loves. “For mountain biking, I’ll go to Annadel State Park in Santa Rosa,” he says. “People always talk about how good Marin County is for biking, but this place kicks anything in Marin. “For skateboarding, we’ll hit the parks in Windsor, Sebastopol or Santa Rosa. At 37, it’s getting harder for me to skate in the streets!